We champion brands that stand for a message. Especially when the statement is equality and showcasing creative expression. 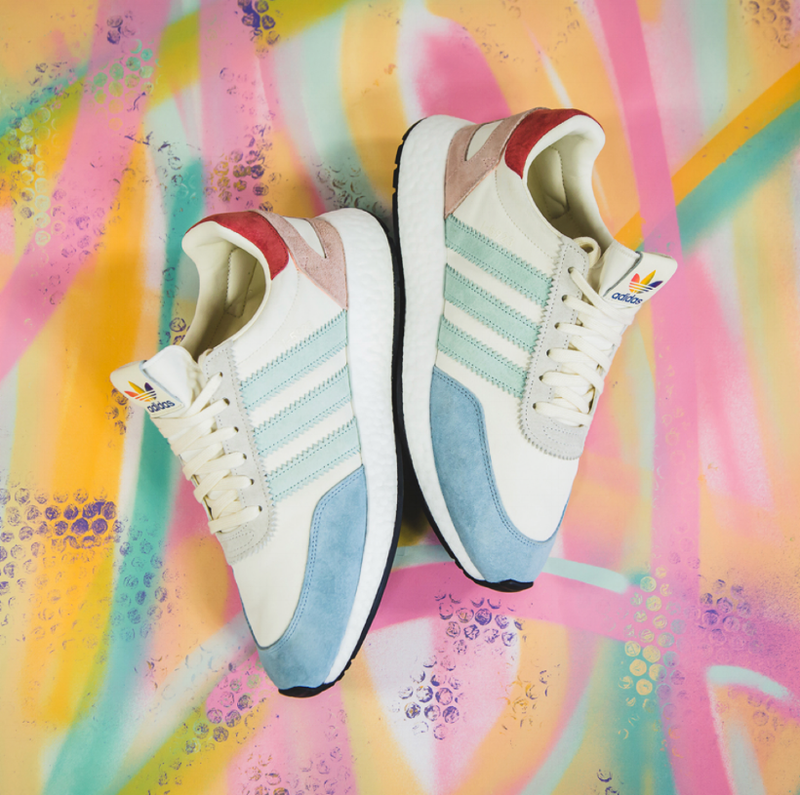 The Three Stripes has jumped onboard with a duo that represents pride within our LGBT communities. The 'Pride' pack is made up of two popular silhouettes, and we are here for all this love. Because in reality, only love wins. The adidas 'Pride' pack comes in two pairs that are dressed in pastel rainbow colored iterations honoring the symbol for the LGBT community. The first pair is the adidas I-5923 (formerly Iniki). The pair is constructed of nylon with premium suede detailing. The adidas Three Stripe branding on the upper comes in a pastel green hue, and rainbow colored adidas trefoil logo hits the tongue. The look comes together on a comfy Boost midsole. You can SHOP THE SNEAKS below for $130 USD. The second pair of the 'Pride' pack is the newer model adidas Deerupt Runner. The Deerupt has a bold design that consists of flexible mesh covering the entire upper and midsole. The netting is something that sets the Deerupt design apart, and is covered with colors that represent the LGBT community. This pair offers a snug fit and boast comfort utilizing an OrthoLite sockliner. You can SHOP THE SNEAKS below for $100 USD. What is your favorite pair out of the pack? Make sure and tag #CNKDAILY and #SNEAKHERSTYLE on Instagram so we can see how you rock your kicks!